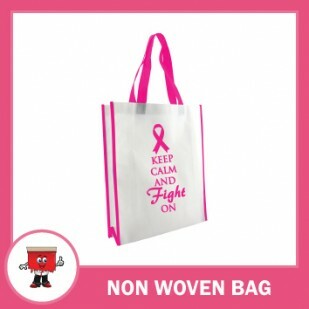 Non woven bag in 38x30x12 cms with your custom message on 1 or 2 sides as per your choice. This item is a ready stock item without branding. Branding can be custom done in a short time.